Do you have the perfect bouquet of flowers but nowhere to put them? Try one of our floral display vases. Flower display vases can help display your fresh flowers and improve your sales. 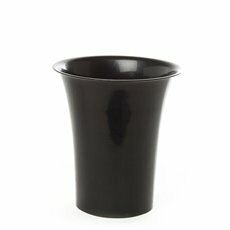 Made of the highest quality plastic our display vases are finished in a high polished shine. Our Flower display vases are available in several functional sizes from 30cm up to 45cm tall and suit small bunch short stem fresh flowers up to large bunch long stem fresh flowers. 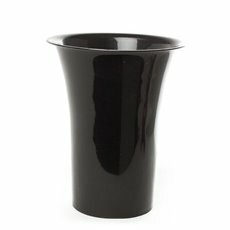 These quality flower display vases are suitable for flower displays stands or can be used in our Floral Basics® flower trolleys. Display vases can also be used for artificial flowers as well as silk flowers. We offer a variety of floral display vases that are sure to fit your needs. 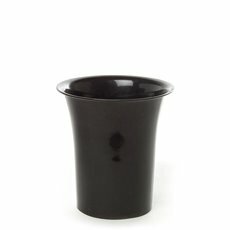 They are all high quality and durable, made from a black plastic that is long-lasting. They come in sizes that range from 22cm to 41cm tall and can suit flowers up to 75cm long. 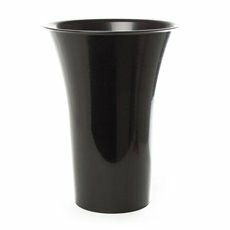 They come with a polished gloss exterior finish and are great for commercial florists to use for displaying large bunches of flowers. 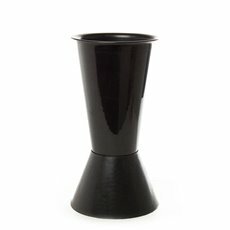 They come in both a standard vase shape and a footed option. We are a much loved business that was originally started in 1931. Koch & Co have proudly served our customers over the years and grown significantly since those humble beginnings. We are importers, national distributors and wholesalers with the largest range in the country. We sell our products Australia-wide, with quick delivery to the major centres such as Sydney, Melbourne, Brisbane, Perth and Adelaide. 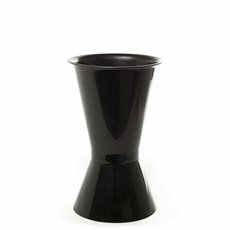 Our floral display vases will give your flowers an excellent foundation.